Following its triumphant return on the West End, the acclaimed revival of Andrew Lloyd Webber’s legendary musical CATS is set to have audiences purring with pleasure when it comes to Australia from October 2015. Receiving outstanding reviews from critics and bloggers alike, this new production extended its London season due to overwhelming public demand. Now audiences here will see the same staging, which reunited the original creative team to give the show a modern makeover and bring CATS back to the West End after a 12 year absence. Based on T. S. Eliot’s Old Possum’s Book of Practical Cats, the show is alive with highly entertaining feline characters and wonderful witty verse, as the Jellicle Cats come out to play in a larger-than-life junkyard on the night of the Jellicle Ball. One by one they tell their stories for the amusement of Old Deuteronomy, their wise and benevolent leader, who must choose one of the Cats to ascend to The Heaviside Layer and be reborn into a new life. One of the longest-running shows in West End and Broadway history, CATS has enchanted more than 73 million people in over 300 cities around the world, winning numerous awards including Olivier and Tony awards for Best Musical. 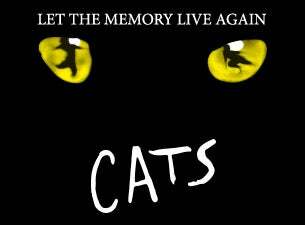 Featuring a fantastical set, Andrew Lloyd Webber’s magnificent score that includes the poignant hit song ‘Memory’, dazzling choreography and stunning costumes, CATS is a brilliant song and dance spectacular – you won’t believe your eyes!